With these date night ideas, you’ll quickly discover that Chicago is bubbling over with romantic things to do – from sharing laughs to restaurants with a view. Looking for romantic things to do in Chicago? Here are three red-hot itineraries to keep you and your main squeeze toasty on even the coldest Chicago nights. Date night in Chicago — solved! Nuzzle up in the dazzling dining room or romantic patio at Old Town&apos;s The Kennison, where the food is farm-to-table fresh and the drinks are deliciously inventive. Next, head to The Second City for one of their classic improv shows, featuring some of the top sketches, songs and improv from their 52-year history. The company that brought the world Tina Fey, Stephen Colbert and Steve Carell will have you chuckling all the way to post-show drinks. 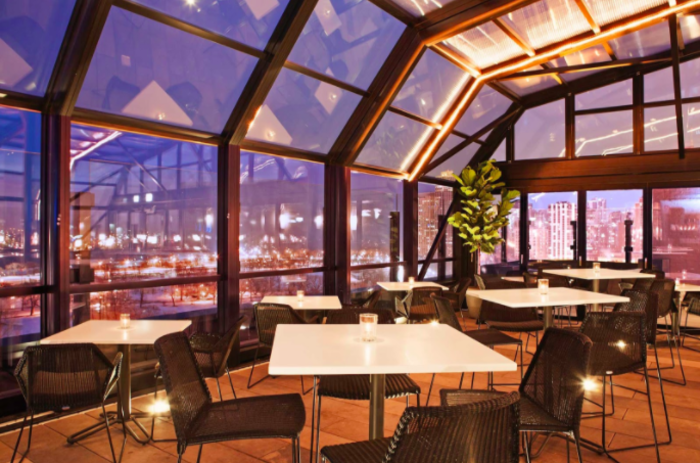 At the all-season rooftop lounge The J. Parker, 360-degree views of Lincoln Park and Lake Michigan set the perfect backdrop. End the night basking in chic Gold Coast luxury in a Celebrity Suite at the Ambassador Chicago. These 800-1,200-square-foot rooms feature king-size beds with imported linens, separate living spaces and bathrooms with tubs, so you can soak up the romance in style. Let your palates run wild with bold, modern Mexican cuisine from Dos Urban Cantina. 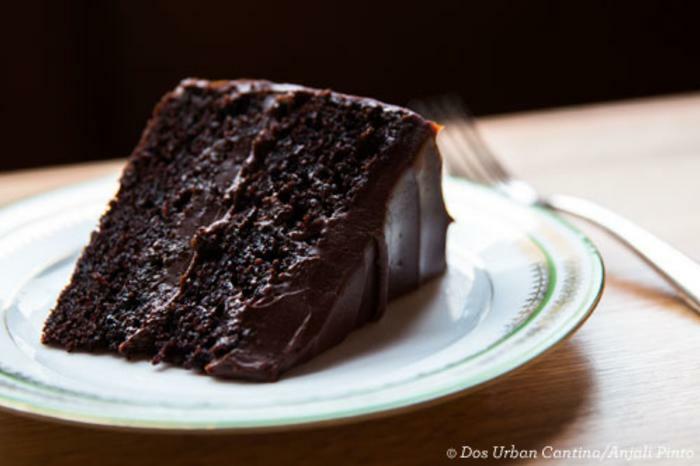 Feast on goat albondigas with black mole, kick the night off with a couple of margaritas or palomas (tequila, Aperol and grapefruit), and end on a sweet note by sharing what has been called the "Best Piece of Chocolate Cake". 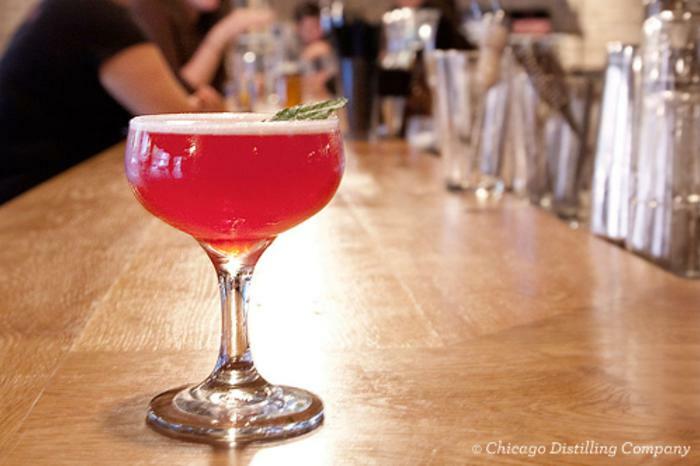 Visit Logan Square&apos;s Chicago Distilling Company and see what the DiPrizio family has been up to. Book a tour and learn how the third-generation distillers turn locally farmed grain into vodka, whiskey and award-winning gin. Get in on the beercade trend at Emporium Arcade Bar and challenge your date to a competition among 24 arcade games, 13 pinball machines, six pool tables and more. Your resting place for the night? Bar-restaurant-inn Longman & Eagle. The six-room hideaway sits above the first-floor, whiskey-focused tavern and features eclectic furnishings and commissioned art. Embark on a romantic stroll or bike ride through Chicago&apos;s Gold Coast, one of the country&apos;s most affluent neighborhoods. Admire historic mansions and maybe pop into one of the areas swanky boutiques. Next, jet up to the 94th floor of 875 N. Michigan Ave. (formerly the John Hancock Center). 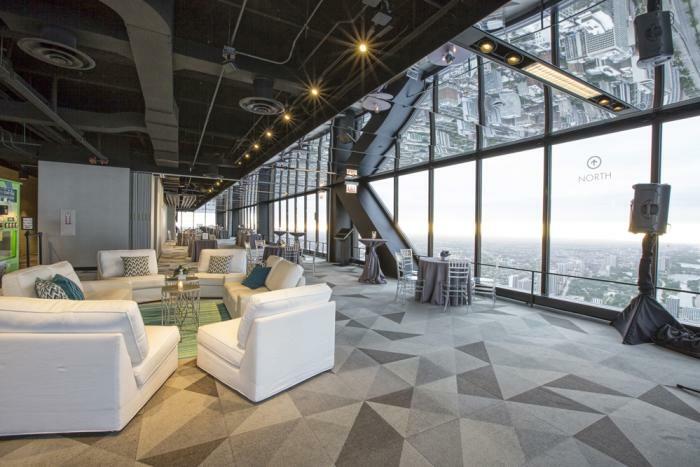 The TILT at 360 CHICAGO observation deck serves up breathtaking views of Chicago&apos;s lakefront and skyline from 1,000 feet above Michigan Avenue. Find ultimate luxury and privacy at Ivy Boutique Hotel, a 16-story gem just off The Magnificent Mile. The 63 guest rooms come with cozy Michigan goose down pillows and Frette bathrobes. For an extra $15 per person, you can keep the romance going with breakfast in bed the next morning.